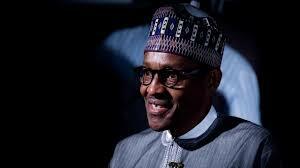 Nigeria’s President Muhammadu Buhari on Thursday appointed Yusuf Magaji Bichi as the new Director-General of the Department of State Services. The appointment will take effect on Friday, September 14, 2018. This came weeks after the Vice President Yemi Osinbajo, acting in the capacity as the president, sacked the director-general of the country’s secret service following the service’s operatives blockade of the National Assembly complex on August 7. Osinbajo named Matthew Seiyefa as the acting boss of the DSS boss after the sack. Bichi began his career in the security division of the Cabinet Office in Kano, from where he joined the defunct Nigerian Security Organization (NSO), the precursor of the present DSS. His appointment as the new DSS boss comes to the job with skills in intelligence gathering, research analysis, conflict management, general investigation, risk and vulnerability operations, counterintelligence and protective operation and human resources management. Bichi has worked as the State Director of Security in Jigawa, Niger, Sokoto and Abia States. He also served as Director at State Service Academy. Mr Bichi is married and with children.